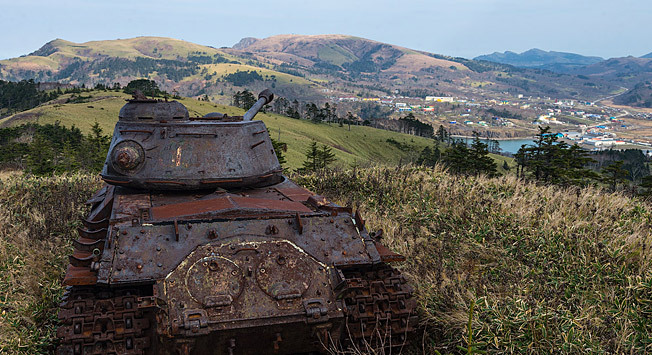 After World War II, in September 1945, Japan signed its capitulation, and in February 1946, the Kuril Islands were declared territories of the Soviet Union. They will also meet in Vladivostok in early September. Japan’s Prime Minister Shinzo Abe expressed the desire to meet Russia’s President Vladimir Putin in his native Yamaguchi Prefecture (south-west of Honshu), Kyodo said on Saturday. "I would like to invite President Putin to come here," he said at a meeting with head of Yamaguchi’s election commission. On May 17, shortly after Putin’s meeting with Japanese Prime Minister Shinzo Abe in Sochi, Russian presidential aide Yuri Ushakov told journalists that the head of the Russian state might visit Japan until the end of the year. Russia’s State Duma Speaker Sergei Naryshkin said during his recent visit to Tokyo that Putin might visit Japan before the end of this year. "Good potential is being created through more active bilateral contacts in the political and economic spheres for further strengthening of the Russian-Japanese relations as a whole. We hope that this work will be continued. The meetings and consultations that have been held are creating a good bridgehead for the visit by the Russian president to Japan, which will evidently take place before the end of the year," he said. Russian Deputy Foreign Minister Morgulov said on May 31 that the dates of President Putin’s visit to Japan had not been agreed yet. Putin received an invitation to visit Japan several years ago. However, after Crimea’s reintegration into Russia, Japan joined the Western anti-Russian sanctions. As a result, the visit by the Russian president had for long been delayed. Russian President Putin and Japan’s Prime Minister Abe held talks in Sochi on May 6. According to Russian Foreign Minister Sergey Lavrov, the meeting demonstrated the readiness of both sides to build up bilateral relations in all areas. "The talks showed the determination of the president of Russia and the prime minister of Japan to focus on the search for the possibilities to build up relations in all areas," Lavrov said. Russia and Japan have no peace treaty signed after World War II. The settlement of this problem inherited by Russia’s diplomacy from the Soviet Union is hampered by the years-long dispute over the four islands of Russia’s Southern Kurils -- Shikotan, Khabomai, Iturup and Kunashir, which Japan calls its northern territories.